Wimbledon is the only Grand Slam tournament that requires players to abide by a dress code: whites only. But the rules go beyond just color — and Nike has learned that the hard way. According to the Daily Mail, Nike sent an email to players and their representatives, writing, “We need to make a small change to your dresses per Wimbledon rules. Could you please bring them by the Nike Wimbledon House?” The note also ostensibly said “this is VERY important” — bold and underlined. Lucie Hradecká recently played in a Wimbeldon qualifying match at Roehampton in the design and wore it as a long tank top with white leggings underneath. Katie Boutler tied a headband around her waist in an apparent attempt to keep the dress secured and in place. Eugenie Bouchard and Laura Robson are reportedly among the 20 participants represented by Nike expected to have their dresses lengthened. 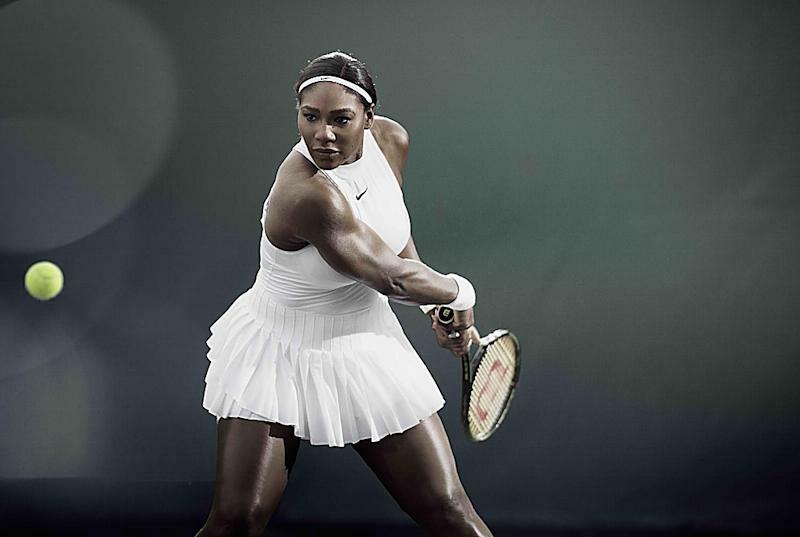 Serena Williams will be wearing a version of the outfit from her own collection, the Nike Women’s Premier Wimbledon Serena SW19 Dress ($200), though hers is tighter on the bodice and includes a pleated skirt with two tiers in back.